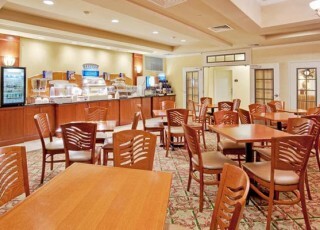 The “Hotel Insider” blogs, are a series of blogs that shows some love for our local lodging properties, and piggybacks off our regularly, weekly featured Travel Tuesday deals on DiscoverLehighValley.com. In these blogs I try to steer away from some of the mundane questions that one might think, and feature some useful and entertaining questions. You might be surprised at some of the answers. So enjoy and check back regularly on Tuesdays (usually twice a month) to catch a new featured property. Discover Lehigh Valley: What makes your property different or unique? 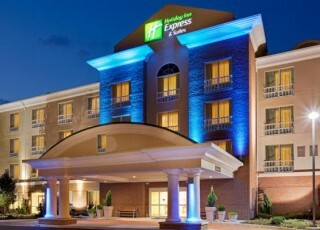 Holiday Inn Express Hotel & Suites Bethlehem: We are the first hotel you come to on I-78 in Pennsylvania from New Jersey. Our location makes us the perfect fit for people wanting to stop for the night on their travels. DLV: What’s your best room/suite, and why? HIE: Our King Junior Suite with a whirlpool bathtub. Couples love this for a getaway! Wink . . . wink. DLV: What are your best amenities? HIE: We have a few. Our complimentary Express Start breakfast, complimentary shuttle service within a seven mile radius, our great indoor heated pool and hot tub, Wi-Fi throughout the entire hotel, and, last but not least, our fitness center. DLV: What was the strangest request you have ever received from a guest? HIE: We had some Amish guests staying at the hotel that could not touch any electricity. So we had to turn everything on in their room for them. We also had a bride want to burn her wedding dress in our pool after her wedding. We politely said no to the bride’s request. The Amish couple we accommodated. LOL! DLV: Have you ever hosted a celebrity (ies)? If so, who was the most fun? HIE: Doodleboops and The Karate Kid, Ralph Macchio. DLV: What’s your busiest time of the year? HIE: Definitely June through August. DLV: How does a guest get the best rate at your property? HIE: We have rate parity through all of our channels so whatever rate you see on the internet we can offer it directly to you. Just give us call directly. DLV: Do you serve breakfast? Is it included in the rate? HIE: We do. We have our Express Start breakfast with hot items such as scrambled eggs, cheese or western omelets, bacon, sausage, pancakes, and, of course, our signature cinnamon rolls. And yes this is all included in your rate. DLV: Is the property pet friendly? HIE: Sorry, we are not. DLV: Are there activities on property for children? If so can you name a few? HIE: Yes, children love our indoor heated pool and hot tub. DLV: Does the property have a bar? HIE: No we don’t, but there are a few near us and we offer free shuttle service. DLV: Does the property offer free parking? HIE: Free onsite parking is available. DLV: What should one know about your property before arriving? HIE: We offer a complimentary shuttle that can take you anywhere within a seven mile radius. Don&apos;t forget your swimsuit as our pool is a warm 83 degrees all year round! DLV: One question and answer that you would like people to know? HIE: To locate our hotel with some GPS systems you need to use Hellertown as opposed to Bethlehem because Cherry Lane is the dividing line between the cities. Thanks so much for the time Kim and we wish you well in your new endeavor. I’m sure the property will be in great hands with Melissa Vreeland your new General Manager. So Lehigh Valley and beyond, if you’re looking for a great lodging option conveniently located off Interstate 78 with a wonderful pool, look no further. Please check back on Tuesdays as we will feature another great loading property soon.